Among the many obvious lessons of the ongoing nuclear power disaster at the Fukushima nuclear complex in Japan is that the 10-mile evacuation zone the U.S. Nuclear Regulatory Commission has insisted upon for nuclear plants here is a product of the pro-nuclear NRC's wishful thinking. The U.S. government has been directing Americans within 50 miles of the Fukushima reactors to evacuate. That's a somewhat more realistic distance than a 10-mile evacuation zone. This acknowledgement, long in coming, has special meaning to a third of the U.S. population--some 108 million Americans--who live within 50 miles of nuclear power plants. The largest concentration is the 20 million people who live within 50 miles from the Indian Point two-nuclear plant complex in Buchanan, New York--just 28 miles north of the New York City line. A 50-mile evacuation zone for Indian Point would cover all of Manhattan and much of the rest of New York City and Long Island, as well as large portions of Connecticut and New Jersey. The two Indian Point plants have long been troubled, having undergone numerous minor accidents. Moreover, they sit at the intersection of two earthquake faults. The situation involving a disastrous accident at Indian Point would be particularly intense if the winds were blowing from the north--which they commonly do--down the Hudson River Valley enveloping Manhattan in radioactivity. If electricity stopped flowing, people would be trapped in elevators and in other ways many would be frozen in place as the radiation descended. There would be complete gridlock as attempts were made to evacuate through the two tunnels and on the George Washington Bridge, the only egress from Manhattan in the direction of where people would need to flee--into the radioactivity in New Jersey and then further west. Importantly, since the Three Mile Island nuclear plant accident in 1979, the Nuclear Regulatory Commission has set as a condition for a U.S. nuclear plant to operate there being a workable evacuation plan to be implemented by state or local government. An evacuation plan for Indian Point, based on a 50-mile zone as made clear is needed by Fukushima is clearly impossible. Westchester County Legislator Michael Kaplowitz this week called for such a zone for Indian Point in the wake of Fukushima and commented that it would take in "all of Manhattan, Brooklyn, Queens, The Bronx and most of Staten Island, New Jersey and up through Connecticut. How could we evacuate that many people?" The answer is they could not--and Indian Point should be shut down. To the east of New York City, a large concentration of people live near the two-nuclear plant Millstone complex, also long-riddled with minor accidents, near New London, Connecticut. A 50-mile evacuation zone for Millstone would encompass much of eastern Long Island --including communities such as Southampton, East Hampton, Southampton, Greenport, Westhampton Beach and Montauk--and extend west into central Long Island. How could nearly a million people living on Long Island within 50 miles of the Millstone nuclear plants evacuate? Indeed, it was established two decades ago that an evacuation of Long Island would be impossible in the event of a severe nuclear plant accident because of its dead-end nature. That understanding came as the Long Island Lighting Company built the Shoreham nuclear plant, the first of what were to be seven to 11 nuclear plants on Long Island, similar to the six-nuclear plant cluster at Fukushima. The Suffolk County Legislature commissioned an extensive study which found that with a disaster at Shoreham there would be gridlock and havoc on Long Island as its residents sought to evacuate in the only ways off the island--through the Queens Midtown Tunnel to Manhattan and on a few bridges. Shoreham was stopped from going into commercial operation and the utility abandoned its scheme to build more nuclear plants. Suffolk County Legislator Jay Schneiderman last week wrote to the area's Congressional delegation urging it to press for expansion of the 10-mile evacuation zone. "If one lesson can be clearly learned from the nuclear incident at the Fukushima Daiichi plant in Japan, it is that the current U.S. requirement of evacuation planning within 10 miles of a nuclear facility is woefully inadequate," wrote Schneiderman. "Our own president urged that any U.S. citizens within 50 miles of the Fukushima Daiichi plant be evacuated." Meanwhile, citizen action on evacuation has begun on Long Island. Priscilla Star of Montauk is organizing a Standing for Truth About Radiation Coalition to get citizens and environmental and safe-energy groups to campaign for an extension of the 10-mile evacuation zone to 50 miles. 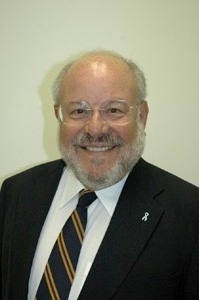 Karl Grossman is a professor of journalism at the State University of New York/College at Old Westbury and host of the nationally syndicated TV program Enviro Close-Up.